It is very important to learn how to use good tools for creating and editing the professional videos, as this content is a tremendously useful element in our marketing strategy. Today, I am going to introduce 20 best professional video creating and editing programs on Windows/Mac/Linux. In this article, I wanted to make a double division between programs to edit videos, so you can find free and paid programs on 3 different platforms, Windows, Mac, and Linux. You’ll also find two very short video tutorials I recorded to show the 2 most simple tools to create your own professional video tutorials. You will get the opportunity to attract traffic video channels like YouTube, Vimeo, etc. You will get more visibility in the Google search engine because the videos are a content that can be positioned well in the SERPs. You will improve the user experience and will retain longer visits, appearance as we know it is very important to improve SEO. High-quality content video leads to great viral throughout the social media. Good video leads to Branding. It will help you get good links from other blogs. They are of great help to engage your audience. Here, both the Free and paid professional video editing programs for Windows are listed as follows. Lightwork is a professional video editor and is very powerful that you are allowed to create a high-resolution (4K) video and it works in both SD and HD format. This professional video editor has been used in films for 25 years such as The Wolf of Wall Street, Pulp Fiction, The conficencial, Hugo, The King’s Speech and much more are done. 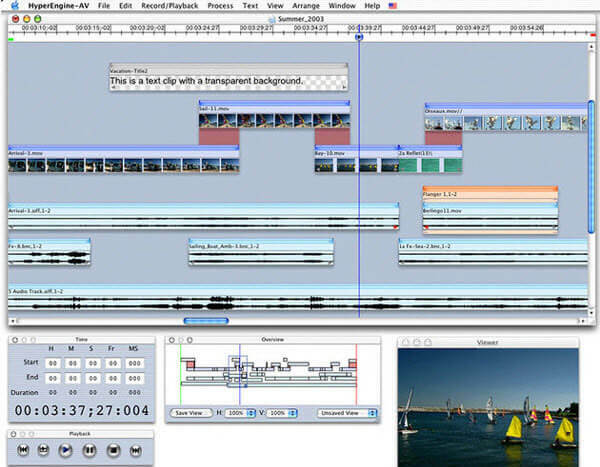 IvsEdits is a non-linear video editing software and very flexible. It is made in Italy, and we can create and edit videos of great quality like (4K / 2K / HD / SD). 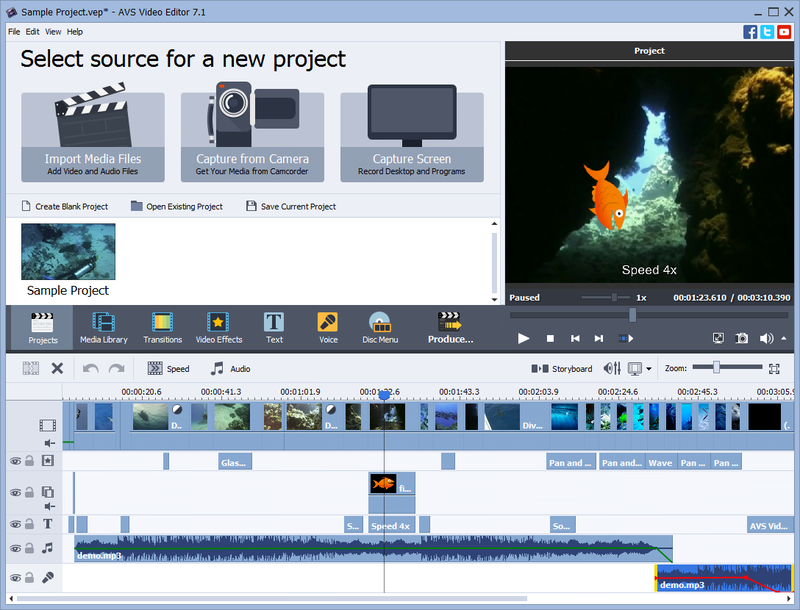 IvsEdits program is a free video editor, but despite that has many features of a professional video editor. Wondershare Filmora is a great free video editor where you can create the very professional audiovisual projects. It works with different formats: Extensive support for different formats including MP4, AVI, MOV, AVCHD and more. It has the tools most commonly used in video editors: Allows you to cut, cut, cut, split and merge in a few clicks. Excellent Effects: Various filters and visual effects to retouch the video. Probably one of the video editors of most unknown and simple, but if you are looking for a tool to make a quick edit, then this is your tool. You can work with common formats such as AVI, MP4, etc. You can edit, cut and join clip. Minimalist design and easy to use. It allows you to apply filters and transitions. Avidemux, the interface is quite ugly, but believe me, it does a good job to make quick edits as cuts and remounting of our video. 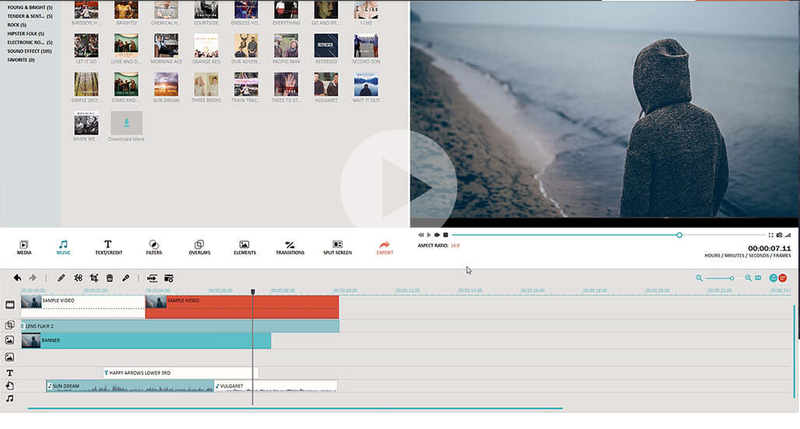 Avidemux is a free video editor designed for tasks of cutting, filtering and encoding simply. Compatible with most video formats: It supports many file types, including AVI, DVD compatible MPEG, MP4, and ASF, using a variety of codecs. 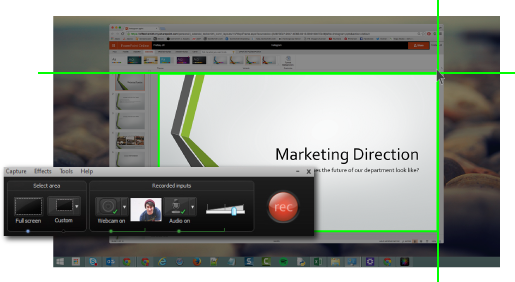 Camtasia is one of the best tool recommended. Personally, I use Camtasia to record and edit video tutorials. I think this software will help you the most. You can try this tool free for 30 days, believe me, it’s worth the try. Main Purpose: Creating guides or manuals on video, thanks to that lets you record and capture everything that happens on your computer screen. Stunning video effects and video animations. Advanced Audio Settings: Add audio effects and perform advanced configuration for the sound of your videos surprise your followers. 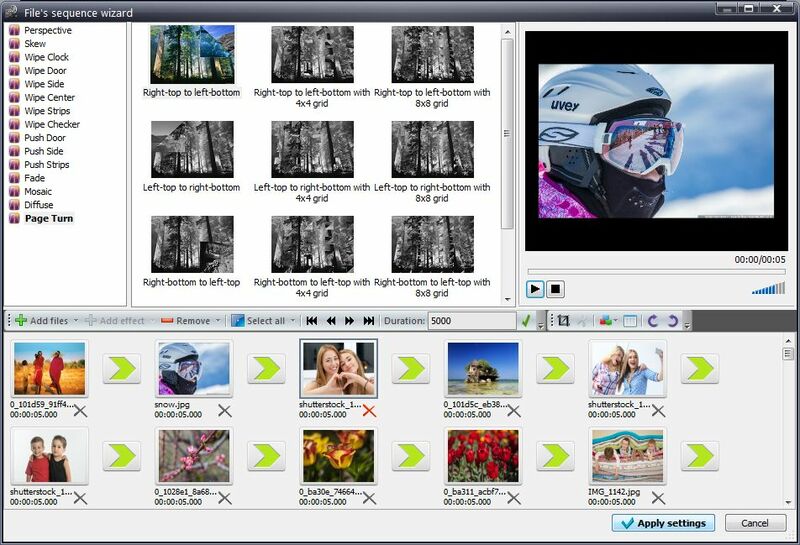 Cut, split, join, rotate and mix videos with AVS Video Editor. Choose between 300 innovative video effects and transitions. Insert menus, audio, text comments, and subtitles. Stabilizes video recordings made by the shaky camera. 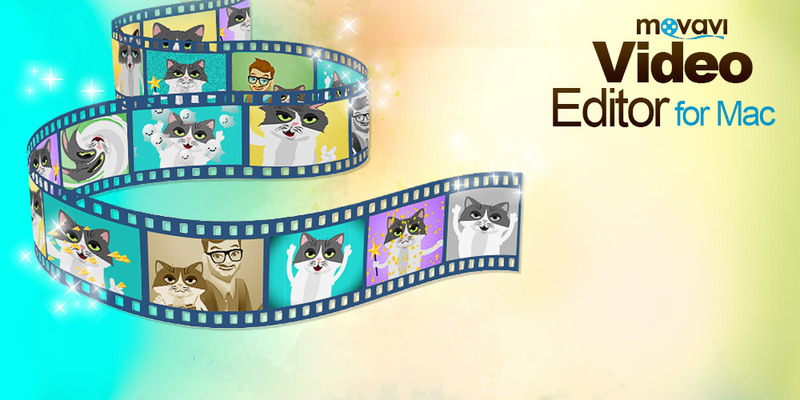 Fast editing HD videos: Edit AVI HD, TOD, AVCHD, MOD, MTS / M2TS, etc. AVS Video Editor. With the cache technology integrated HD video editing becomes faster. It supports many video formats: Supports all key video formats. Edit and save video files in AVI, VOB, MP4, DVD, WMV, 3GP, MOV, MKV, H.263 / H.264 codecs, etc. 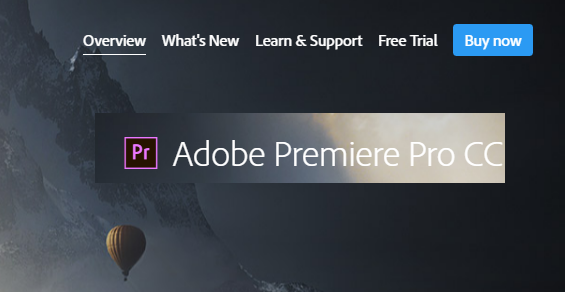 Adobe Premier Pro is a very powerful and versatile professional video editor. Create visually stunning videos virtually anywhere. Thanks to all production tools leading video industry, you can work with desktop computers and mobile devices to edit virtually any type of media in its native format and create professional productions with bright colors for film, TV and the web. Platform: Windows, Mac and Cloud (Cloud). List of Video editing programs on Mac. 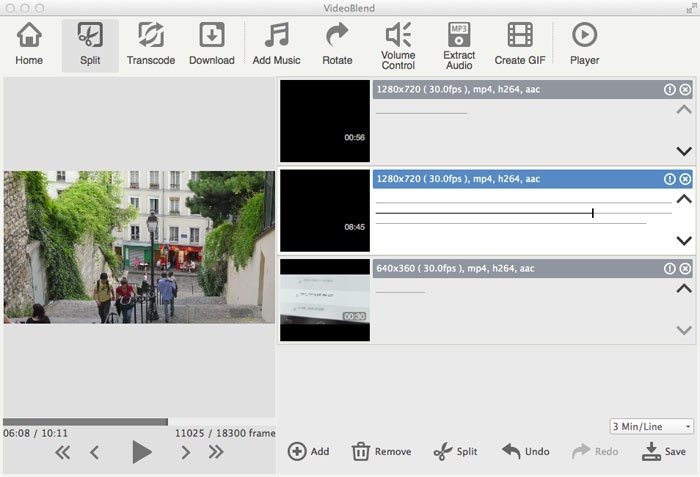 VideoBlend is a free video editor and player designed for Mac OS X. Split: Cut, split and combine video clips. Transcoding: Change video format, resolution and quality. Download: Save videos from Youtube and Vimeo to your computer. 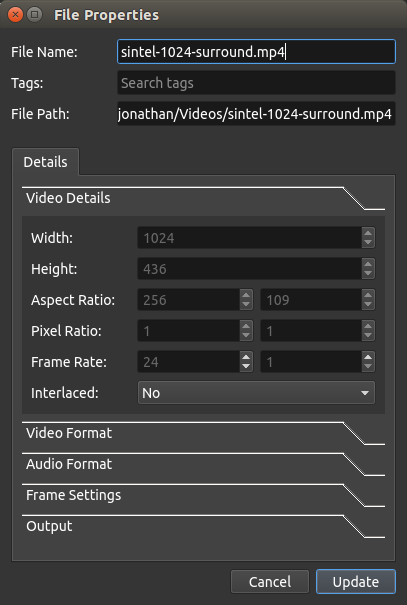 ZS4 Video Editor is a free video editor for Mac that provides media experts with the possibility of combining a variety of media types in one (or more) file (s) output. In addition to Mac, it is also available for Windows and Linux. ZS4 Video Editor comes with more than 150 built-in video effects that can help you take your videos to the next level instantly. HyperEngine-AV software is a free video editing for Mac uses to capture, edit, organize , process, and export video, audio and text to create quality films and slide shows. It offers text features to show credits, titles of sections, etc. It is really a good free video editor for Mac users. 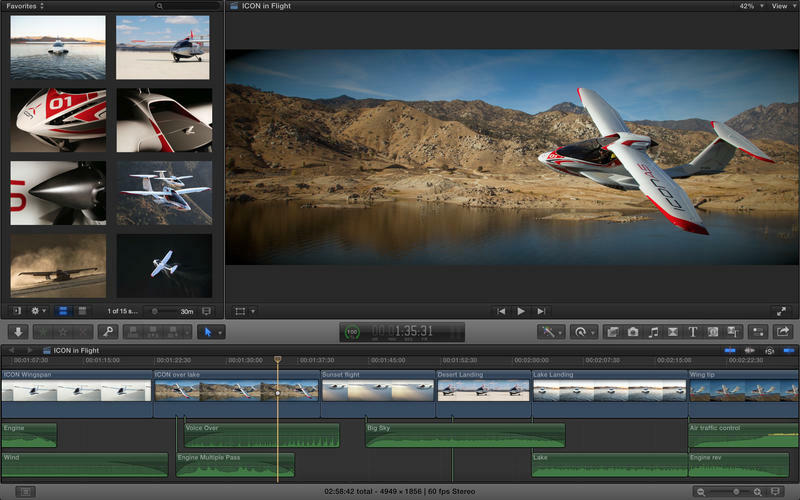 Check out the best video editing program for Mac, you learn to use in minutes! The program Movavi Video creation has everything where you need to edit home movies and create photo slideshows with lot of ease quickly and efficiently. Simply import your videos and photos on the program, improve the quality of video, add titles, fades, animated and music, and etc. Simple controls and intuitive interface ensures a short learning period and tons of fun and creativity. Cut and trim pieces, divide the recording into parts, delete unnecessary segments. Rotate the picture and adjust the volume. Choose from over 90 animated videos and still images transitions. Select only a molten or melted select individual clips to connect different. Improve image quality with Magic Enhance automatically or manually adjust the brightness, contrast and other parameters of your videos. Encourage your movie with more than 60 special effects! 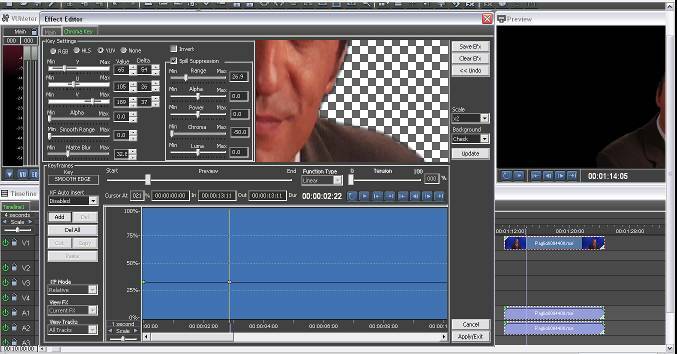 The video editor offers the ultimate in sound management. Edit audio files on the timeline. Open the list of formats. Add creative titles with or without animations. Choose styles and backgrounds title match their film. A catch and create video clips. Save your movie at any video format compatible with Mac OS X: AVI, MPEG-4, MOV and many more. Prepare your project for upload to YouTube, Facebook, MySpace and other video hosting services with the group of specialized options. Export your video for viewing on Apple, Android, BlackBerry, other mobile devices with practical options. It is a very powerful Video Editor you’ll truly enjoy it. Edit multi -camera projects with automatic sync and up to 64 camera angles. It supports virtually all professional video formats. 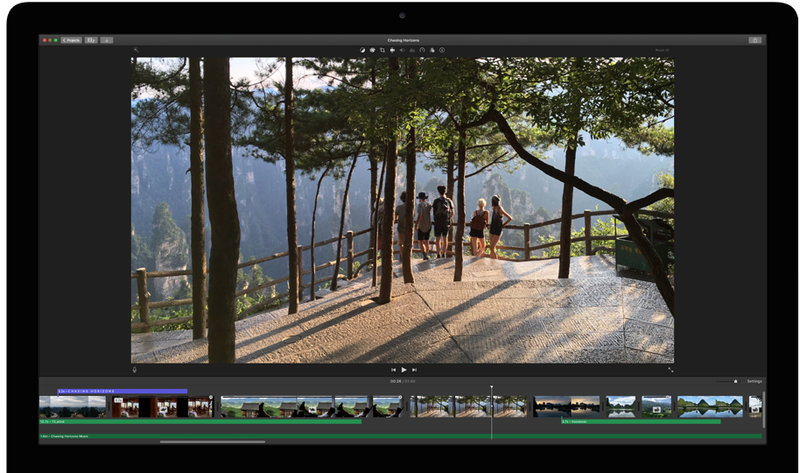 Enjoy your videos like never before with iMovie for Mac. Find your clips easily and share your favorite moments on the fly. Create trailers and worthy of Hollywood movies in stunning 4K resolution. You can start editing on the iPhone or iPad and finish on the Mac. And when the opening night arrives, iMovie Theater display the red carpet on all your devices. 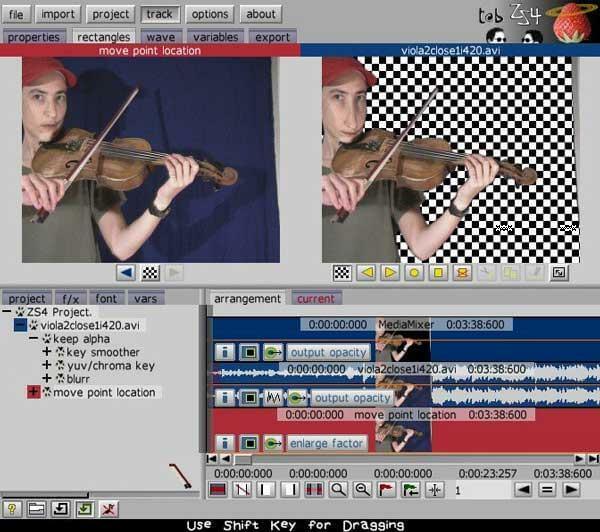 Pitivi is a video editing software open source is available for Linux-based devices and offers an intuitive user interface in a way that can be Pitivi your favorite in a few seconds. 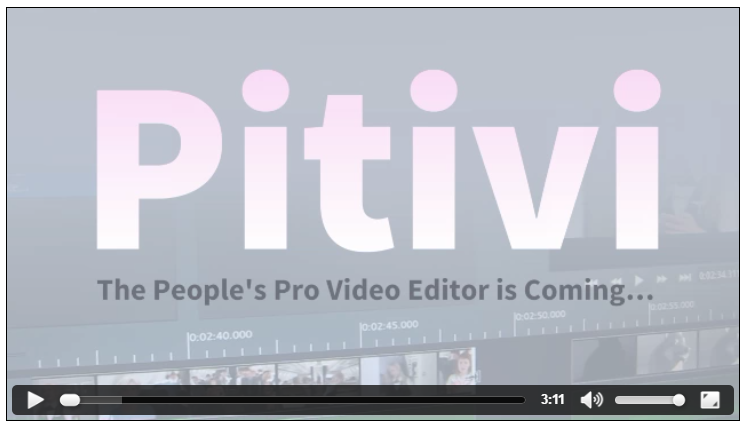 Although Pitivi offers more than enough, some of the most notable are the ease of editing video, hundreds of transitions, filters and effects, available in multiple languages based video editing accuracy, etc. Kdenlive is a great solution when you are looking for a video editing software open source. 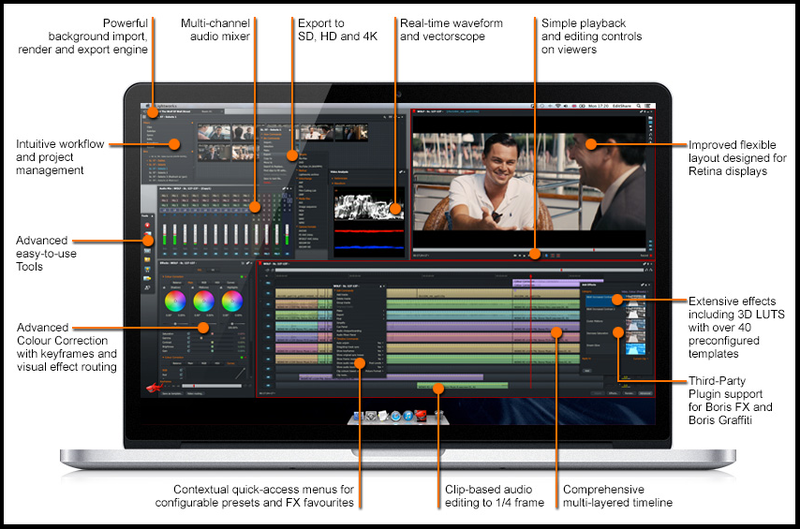 Key features: Support HD, storyboard mode, 2 video tracks and 4 audio tracks, display linear time code, ECM. Open Shot Video Editor is a simple and easy video editor for Linux, but also find versions of this video editor for Windows and Mac. 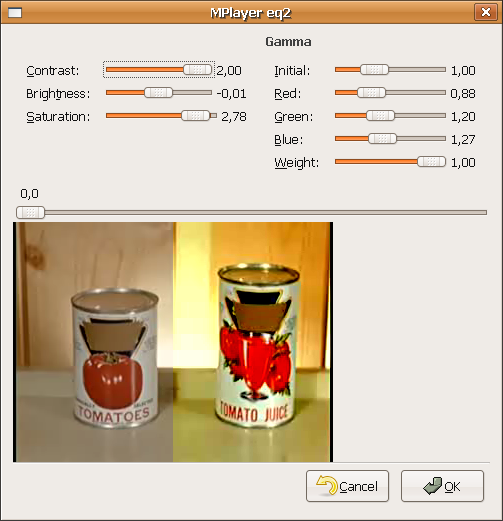 It supports a variety of video formats, audio and image based on ffmpeg. It resizes video, scaling, cropping and cutting. These are the 20 Best video editing programs for Windows, Linux, and Mac OS. I hope this article will help you to solve your video editing problems. If you use anyother tools other than the list in this article, kindly mention those names in the below comments. Nice article and Good gathering information regarding best video editing tools. Thank you for your positive feedback. Hope this article helps you to edit your videos professionally.